Dirk Hoffmann has released a new version of his VirtualC64 emulator. 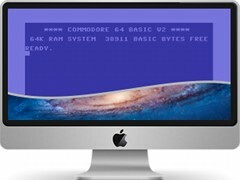 This emulator can turn your Mac (OS X) into a Commodore C64. The changes in this version are: Support for Kingsoft, StarDos, and Atomic Power cartridges. Improvements for ROM, CRT, VIC-II and sprites.